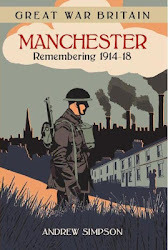 It’s a familiar enough picture and takes you back to that moment when Chorlton had almost lost its rural character. It was taken around 1890 on Beech Road and may have been one of the last times the land was ploughed before becoming the Recreation ground. But like so many photographs there is much more. The picture belonged to William Higginbotham who may be the man behind the plough. His family had lived on the green since the 1840s and most of the land they farmed was on either side of the Brook stretching up towards the Mersey. But they also worked a small strip of land between the Row* and High Lane. 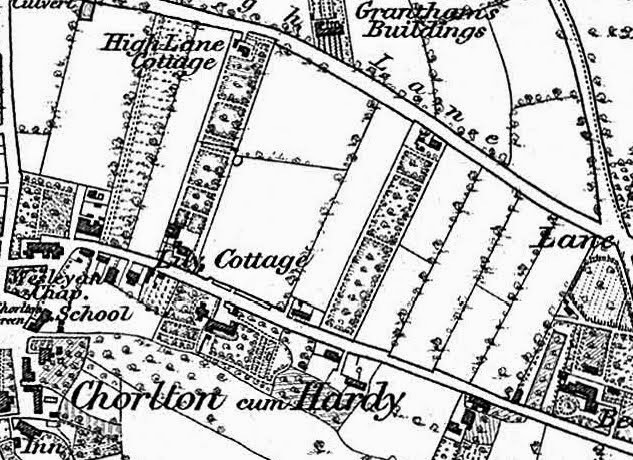 In the 1840s this was almost entirely Egerton land and was rented out in strips to a number of farmers. Along with James Higginbotham, there was William Bailey, George Whitelegg and Thomas White. This pattern of land tenure was not so different from the old medieval strip farming where each peasant had a share of the land in different places. This was repeated across the township and so while the bigger farmers had most of their land concentrated near the farmhouse, the land of smaller farmers and market gardeners were distributed across the area. The Higginbotham’s farmed a mix of meadow and pasture land close to the Mersey and arable along the Row. 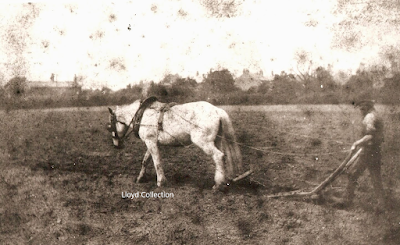 This arable farming along the Row continued well into the 19th century so as late as 1893, there was open farm land and orchards running from Cross Road down to what was to become Wilton Road and stretching back to High Lane. We all have our own Albert Square …….